The waves of the Atlantic Ocean and volcanic energy shape our spirit every day. 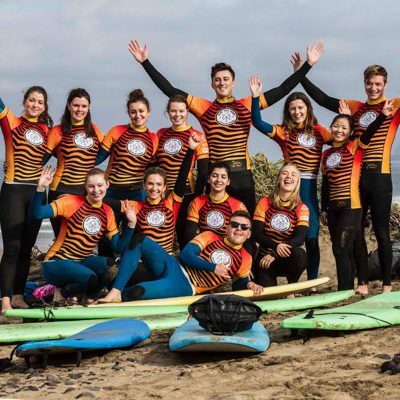 We are a surf center located on the northwest coast of Lanzarote and we offer classes, accommodation and services so that you can live a pure experience in this magical place. We share with you our experience, love for the sea, the waves and our surroundings. 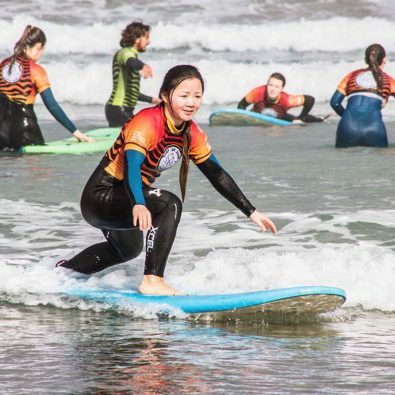 Surf, Kite and Sup lessons for all levels and ages. Experienced instructors, with deep knowledge about the area who will guide you in this aquatic adventure whatever your level is. We are located in Famara, wild and ideal beach for surfing. Famara is considered as one of Spain best beaches. If you do not have transportation, do not worry, we pick you up anywhere on the island. Lanzarote is a Biosphere Reserve and this school respects the environment. We have 3 surf houses in Famara located less than a minute walk from the sea. Here there are no advertising signs or traffic lights and some of the streets of the town are sandy so many of us go barefoot. Come to connect with nature and with yourself, with surfing, trekking, yoga, bike, diving, paragliding, etc. Tell us what you want and we will organize a unique experience with unforgettable activities in a magical environment, whether you are looking for action or if you want to relax. 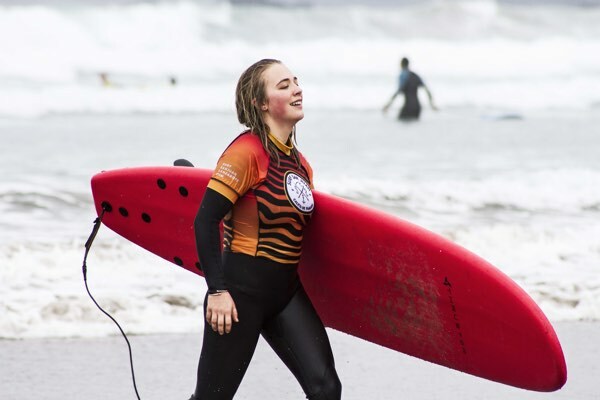 In addition to school and surf house we also have a surf shop where you can find everything you need for surfing as well as beach fashion, equipment, and accessories. 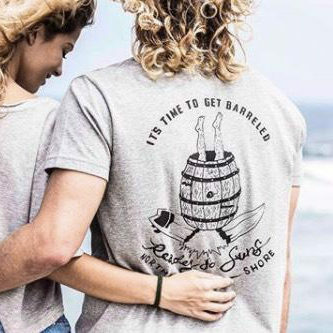 Rent your surf material in our store. You will receive the best advice and you can change your rented board as many times as you want until you find your “magic board”. Softboards, longboards, minimals, shortboards, bodyboards … we got them all !!! 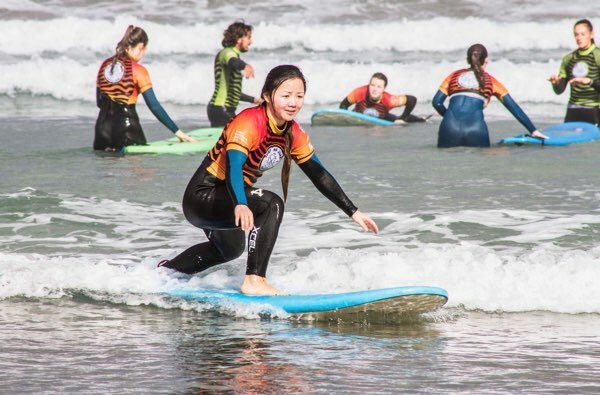 Surfing is much more than standing on a board.  Surfing is a ritual, wear the neoprene, going to the beach, admiring the beauty and the immensity of the ocean, getting into its waters, paddling, learning to read the waves, how to catch them, enjoy and also have patience, know how to get up and how not , know how to fall and try again. To be able to generate speed, to anticipate, to flow, to tune in with the energy of a wave is something wonderful. A constant, unlimited learning. 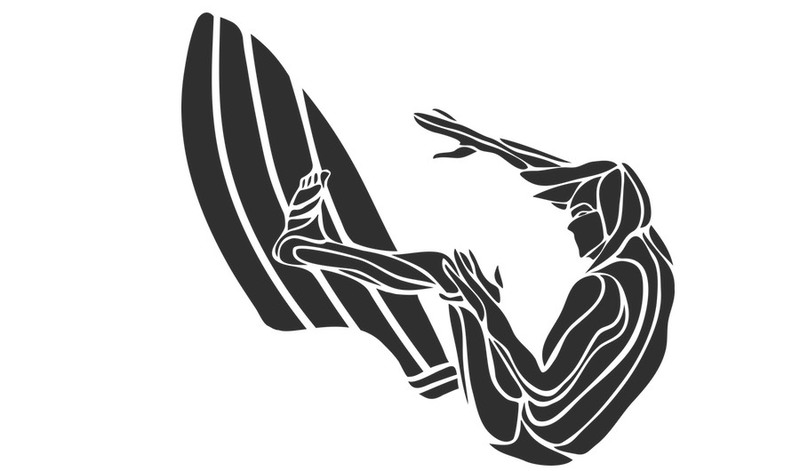 Our playground is in constant movement and changes, every day is different, each wave is unique and special, so your ability to adapt is fundamental.